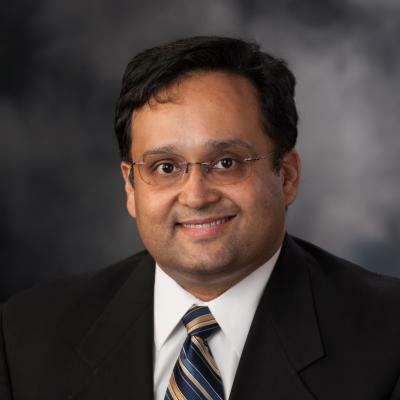 Dr. Vinod Nair joined Cardiovascular Institute of the South in 2005 to serve as a staff cardiologist at the institute’s Houma clinic. Practicing as an internist as well as an interventional cardiologist prior to joining CIS, Dr. Nair brings years of experience to the CIS team of physicians. He is board certified in internal medicine, cardiovascular disease, interventional cardiology, nuclear cardiology, vascular medicine, endovascular medicine and cardiovascular computed tomography. In his native India, Dr. Nair received his undergraduate degree from Malabar Christian College and his medical education from M.S. Ramaiah Medical Teaching Hospital. His postgraduate training included a rotating internship at Ramaiah Medical Teaching Hospital, an internal medicine residency at Our Lady of Mercy Medical Center in Bronx, New York and a cardiology fellowship at Long Island College Hospital in Brooklyn, New York. Subsequently, he completed his interventional cardiology fellowship at Maimonides Medical Center in Brooklyn. Dr. Nair is actively involved in the community. He is a member of the American Medical Association and American Heart Association. He is on the board of trustees for the American Heart Association’s San Angelo Chapter and is a fellow of the American College of Cardiology. While completing his residency, Dr. Nair received achievement awards for academic excellence, best teaching resident, humanitarianism, leadership, and overall excellence.